Just because the growing season has passed and the weather is less than inviting, that doesn’t mean you can’t still have fun and work on your garden. Apart from Halloween, people don’t really pay too much attention to their garden during autumn. If you still long to make the most out of the gorgeous autumn sunshine, here are a few DIY ideas that can help. The first days of autumn can bring with some dazzling colors. Make the most of these colors by creating colorful DIY decorations using just colored translucent beads. And they’re so simple to make you can easily include them in your list of fun DIY crafts for kids if you want to bring the whole family together. You can make more elaborate decorations, or just hang strands of beads near a window, or as a windchime. You can use leftover beads to add a touch of magic to an otherwise dull wooden fence. Drill holes in the fence, then plug them with beads. It works best if it’s is facing a well-lit direction. The sun rays passing through the beads will shine dazzling colors all throughout your autumn garden. The cool autumn wind can be sound a bit dreary but if you throw in DIY wind chime in the mix, all of a sudden your garden is going to take on a new life. And, what’s more, you can make out of the things that are already at hand. Dried chestnuts, hollow sticks, all of the plant material that makes a sound, and you would otherwise throw away can be used to add flavor to tone of your windchime. Plus, it can make a really neat Halloween decoration, if you add a few more exotic ingredients, like feathers. And they work great with pumpkin decorations. What many don’t know is that the autumn season can be the perfect time to plant your garden. 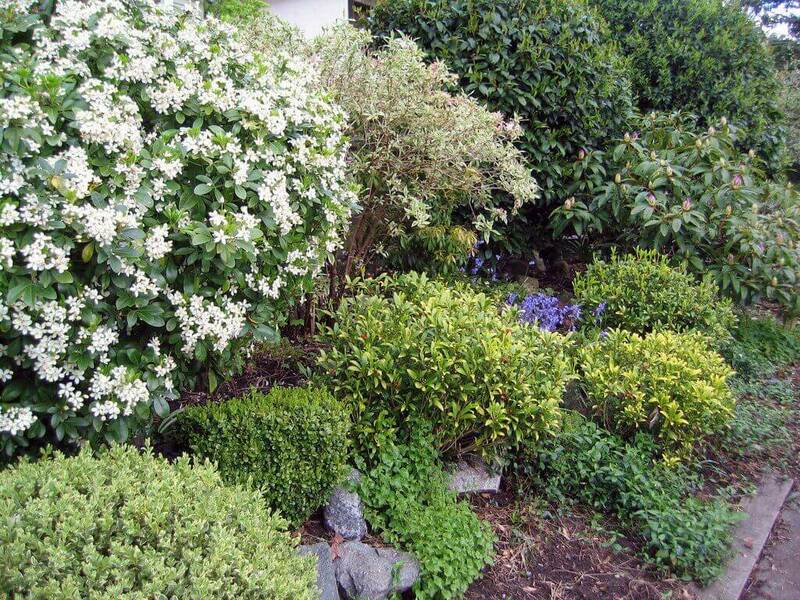 Shrubs and trees, in particular, thrive in the cool autumn air and the warm soil. And even though it might not seem like it, winter snow actually provides good insulation. Plus, vendors usually sell them a lot cheaper, since not many people are clamoring to buy once summer is gone. Immortelles are also a good way to make your garden burst with color even during the drab autumn days. They are everlasting flowers that thrive in harsh conditions and look gorgeous no matter what the weather is like. Outdoor flower pots get damaged over time, no matter how sturdy they are. The sun, wind, and rain can leave stains and cracks. And if you have more delicate plants you might want to move on the veranda, or even inside, those pots can be a real eyesore. Luckily you can make them look good as new, or maybe even better with just a few simple materials. All you need is some sturdy rope, strong glue, and some acrylic colors. Wrap the rope around the pots to give an entirely new look. You can leave it in its natural color or change it with acrylic paints. Acrylic paints are best suited for the outdoors, since they don’t cover up the texture of the rope, but they can withstand low temperatures and water. Everyone loves having fresh herbs and spices. However, these plants are usually not very sturdy, so moving them indoors can be a good idea. You can use a canvas pocket rack to keep all of your delicious herbs at hand, in the kitchen. It looks absolutely charming and its practical as well. You should use pocket racks that have a plastic lining on the inside of the pockets to avoid letting moisture dripping through the canvas. If you can’t find a rack with plastic lining, you can use saran wrap to line the pockets yourself. 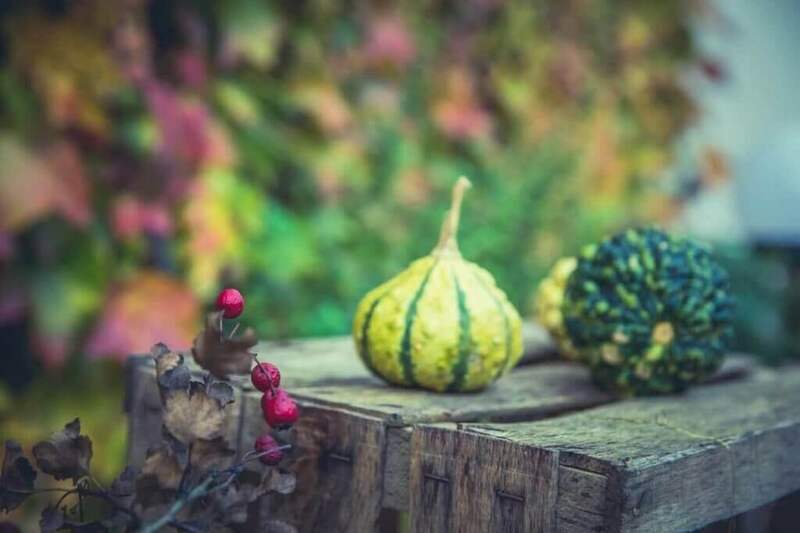 The fall season can be a time of great joy, and with these DIY crafts for your garden, you can make the most out of those gorgeous autumn days.